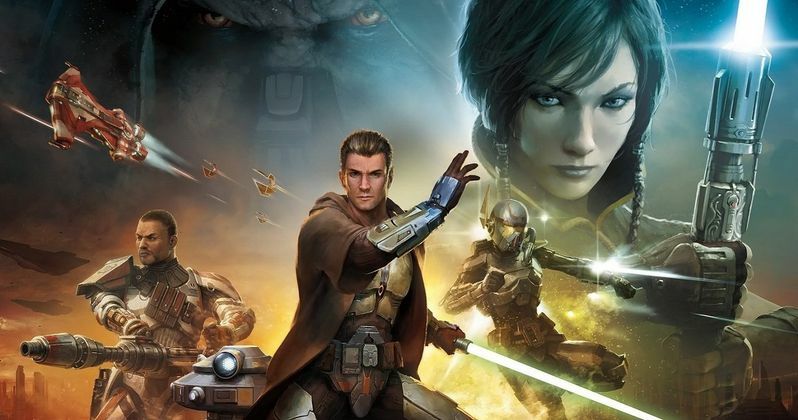 Star Wars: Knights of the Old Republic Video Game Reboot Planned? The Star Wars universe is more popular than ever these days, with the last two Star Wars movies, Star Wars: The Force Awakens and Rogue One: A Star Wars Story earning over $3 billion worldwide. The universe has continued to expand with novels, comic books and other stories that are part of the official Star Wars canon, including new video game Star Wars Battlefront. Today we have word that LucasFilm may be teaming up with Bioware to reboot the fan-favorite game Star Wars: Knights of the Old Republic, making those characters and elements also part of the official cinematic canon. The Star Wars Game Outpost came across the Patreon page of gaming journalist Liam Robertson, who has learned that BioWare's Austin facility is exclusively working on new Star Wars video games. One of these games is reportedly a "remake/revival" of Knights of the Old Republic, and there is speculation that this game may be announced during Star Wars Celebration this week in Orlando, but that hasn't been confirmed. Here's what Liam Robertson had to say about this Star Wars: Knights of the Old Republic video game reboot. "I've learned now that (BioWare Austin is) pretty much now exclusively working on Star Wars games and they're going to be doing that for the indefinite future. What they're currently working on right now, and I have this on good authority, is a sort of remake/revival of Knights of the Old Republic. I don't know when this is set to come out, but it has been in development for a little while now. I don't really know how that game'll end up. I've heard that it isn't exactly a remake anymore, but it started as a remake/revival. Now it's kind of going from that blueprint in sort of its own original thing. I guess we'll see what that turns out to be, but they are prototyping it right now." Liam Robertson added that, since Knights of the Old Republic is not considered part of the Star Wars canon, this project may be "like wiping the slate clean," hinting that it will "embrace the new Star Wars universe lore," since the original game was considered part of the Star Wars Legends canon, and not the official Star Wars canon. The original game was set 4000 years before the formation of the Galactic Empire, where Darth Malak, a Dark Lord of the Sith, has unleashed a Sith armada against the Republic. Fans would play as a Jedi knight and travel to different parts of the galaxy to destroy what was known as the Star Forge, Darth Malak's military resources. The original game was written by Drew Karpyshyn, who was asked by a fan on Twitter last month if he was working on a new video game. The writer revealed that he was working on a new game, and while he wouldn't reveal any details about the game in question, it's possible that he was referring to this Star Wars video game reboot. Star Wars: Knights of the Old Republic was followed by the 2005 sequel Star Wars: Knights of the Old Republic II: The Sith Lords, and the 2011 massive multiplayer online roleplaying game (MMPROG) Star Wars: The Old Republic. While we wait for an official announcement regarding this new Star Wars game, take a look at Drew Karpyshyn's tweet below.